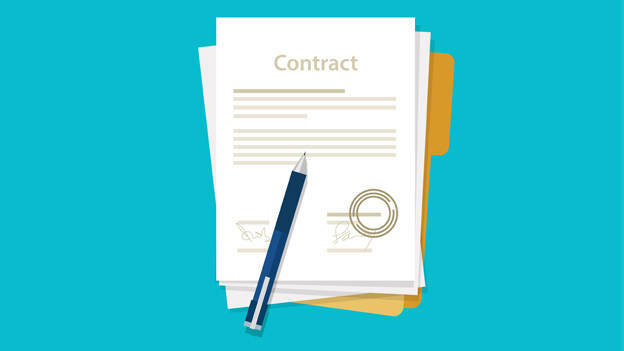 The concept of permanence and security are changing employment contracts. What should leaders do to handle this change? The employer-employee relationship has been in practice for hundreds of years. As our socio-economic environment has changed over time, this relationship has also evolved. The expectations from one another have changed; the norms of employment have transformed and the governance processes have altered accordingly. Rather than going into history, let’s examine some of the unique features of the current business environment: First, our social needs, interactions and linkages are fairly secondary compared to the individualistic needs. Hence, employers are focused a lot about delivering what the individual gets rather than focusing on collective needs. Second, our economies have become a lot more volatile than what they used to be in the past. Hence, employers have been in the constant lookout for flexibilities and immediate solutions. And finally, technology has disrupted our way of life in a significant way. Such disruptions have given rise to disappearance of certain professions, emergence of new ones and transformation of many practices. Hence, employers are relooking at the way they interact and relate to their employees in each step of employment -- right from talent attraction, selection, appointment, induction, assigning responsibilities, appraising performance, developing them to rewarding them. As the speed of doing business has increased, the volatilities in the external environment have prompted organizations to be agile and flexible. Thus, several kinds of employment norms have emerged: full time employees, part-timers, retainers, consultants, contractual and so on. All these forms of employment contribute to the organization’s success. Hence, recruiting the right talent, engaging and developing them will distinguish one organization from the other. The reality is that many organizations do not practice this. The concept of full time employment has changed in the last two decades. Employment for life is passé now. Employers recognize and reward their employees handsomely on the completion of two years and five years. Like CEOs are expected to consistently deliver results in each quarter, the performance of employees at the entry-level is monitored and tracked closely. Competency to perform and the outcome delivered have become more crucial for a full-time employee. Although Government jobs are still considered to be permanent and secure, yet the Government institutions increasingly have put emphasis on performance management and have used newer modes of employment, reviews and distinctive rewards to differentiate between various levels of performances. So, a full-time job is no more permanent and secured as it used to be. The employee’s job is safe until she or he shows possession of the skills required for the role, demonstrates the desired behaviours at work and delivers the outcomes. There are many instances where an employer needs a few roles for a fixed duration of time or outsources them due to strategic reasons or buys the expertise for specific tasks. In each of these situations, the employer needs the people to perform at their best. We notice that employers have been able to adopt various modes of employment to keep their costs optimal, stay flexible in their staffing plans and use the available talent pool for non-permanent jobs. However, in many cases, they fail to set the right context and hence, such talent remain largely under-productive. More importantly, leaders have to set the right tone in the organization about the need of various modes of employment and the value the organization generates out of this diversity. Although this sounds theoretical, but in practice it makes a lot of impact. Most common issues which spring up are around the benefits that employees get entitled to at different levels, the rewards and recognition, the policies and employee compensation. Setting the tone right will help the operating managers be clear about the philosophy and hence, they keep their benchmarks right in all steps of dealing with various kinds of employees. At times, organizations worry about some outdated labour laws and provisions. Hence, they create some unwieldy structure and procedures to deal with employment of various kinds. These are largely self-imposed restrictions which do not deliver any sustainable value to a business and must be reviewed from time to time if the procedures are fit-for-the-purpose. Organizations are a continuum of roles and they succeed only when the continuum stays nimble and fat-free. Creating multiple toll-gates and speed-breakers along the highway could be essential for control and safety, however, too many of them are counter-productive. These days, it’s important that employers stay flexible and nimble to ensure that their business stays within the control and deliver superior results on a consistent basis.